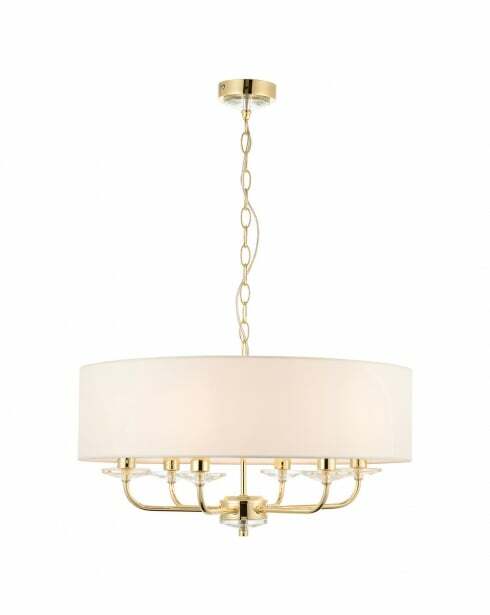 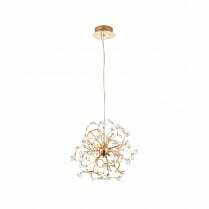 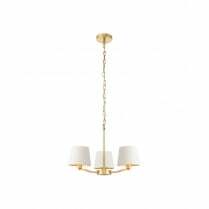 The Endon Nixon 6 Light Multi-arm Pendant is a stunning ceiling pendant with a polished brass finish and a white vintage silk shade. 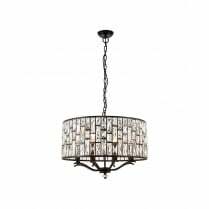 Each candle style light fitting has a decorative crystal sconce, adding sparkle to the light as it diffuses into your room. Matching wall lights, table lamps and pendants are available to continue the look throughout your home. 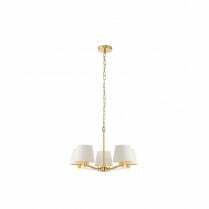 Type 'Nixon' into the search box above to view the full range. 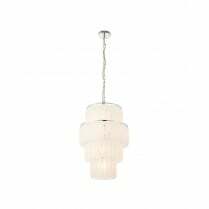 Requires 6 x 40W E14 candle bulbs or equivalent low energy bulbs.